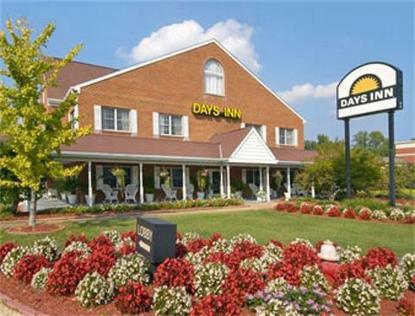 Come Home to the Days Inn Historic Area, Williamsburgs only 12 time winner of the prestigious Chairmans Award. You will always find Southern hospitality and charm at this beautiful Inn located in the heart of downtown Williamsburgh. This Charming Inn Features - Outdoor Heated Pool and Spa - Seasonal Complimentary Deluxe Continental Breakfast All New - Spring 2008 - Luxury Pillow-top Bedding Fitness Center Guest Laundry Facility Free HBO Guest Lounge with Freshly Ground Coffee, Tea Fresh Baked Cookies Each Afternoon Interior Corridors Game Room Volleyball and Picnic Area Relaxing Porch Area with White Wicker Rockers Adjacent Gazebo Restaurant for Breakfast Some Suites and Deluxe Rooms Cribs Available at no Charge 80 Percent Non-Smoking Rooms Central Elevator Business Center Complimentary High Speed Wireless Access DVD Players in all Rooms Board Games and Cards Available at Front Desk Free HBO 24 Hour Front Desk Free Parking Express Check Out Laundry Valet Service Available Free Local Calls Meeting Room Bed and Breakfast atmosphere with Southern hospitality.